FREE! A word that catches most people’s interest — especially when it’s attached to a service or product that’s typically (and shockingly) pretty costly. So, it’s no surprise that more often than not, most people head to the web to search for free images so they can avoid having to take their own photos or pay out the rear-end for one measly blog post picture. Once you hit up the online search, how do you know which platforms are the best to use and present the least amount of hoops to jump through to get your download? Which ones offer content that’s actually free for commercial use and which ones don’t really make it clear what’s free to use and what isn’t? That’s what I’m covering here — places to go to get the best images with the least hassle using absolutely none of your marketing budget. Hopefully what you find here will get you out of your photo-finding-frenzy and into a tranquil state of picture-picking bliss. I’m assuming one of two things about your online image-seeking process: you either…. You’ve done #1 so often, you’ve now got one or two go-to platforms you use. So if you’re reading this, I assume you’re just ready for something different, ideally better. 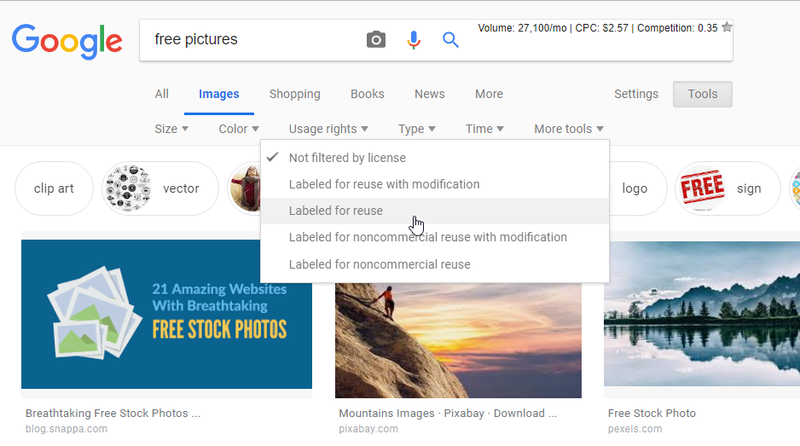 In Google Images, you can search for images labeled for reuse by clicking Tools, selecting Usage Rights and then Labeled for Reuse. For those who need a bit more professionalism in your approach (no offense #1ers), you probably fit into the 2nd category and use a free online platform (or two) to find what you need. And for the record, by “a bit more professionalism,” I mean you’re looking for a certain quality as well as a certain guarantee that what you’re using is in fact available for you to use the way you’re using it. Kapeesh? 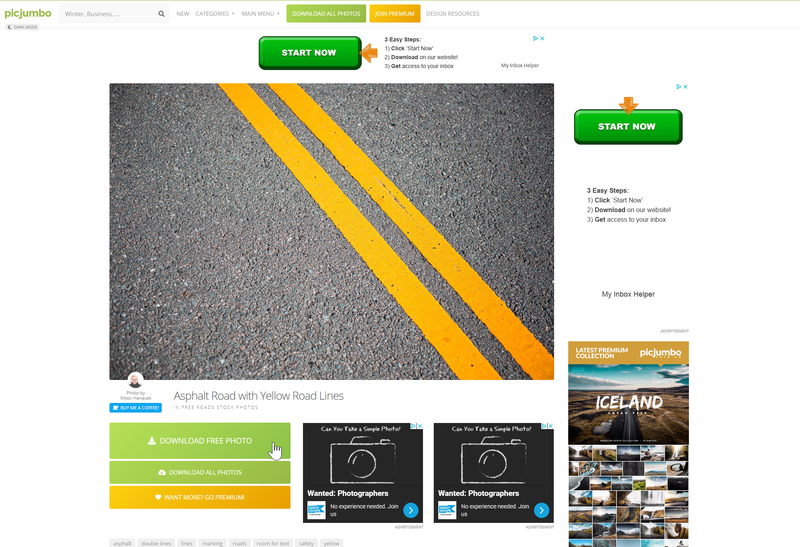 An easy-to-find search bar (usually plopped right in the middle of the home page header image or slideshow). Licensing information for each image (either on each individual image page or on a separate page named “Licensing” or something like that). A section featuring related free images. Suggested or related images available for purchase (usually Shutterstock…they seem to have the monopoly on selling images online). A way to donate or contribute something to the photographer. 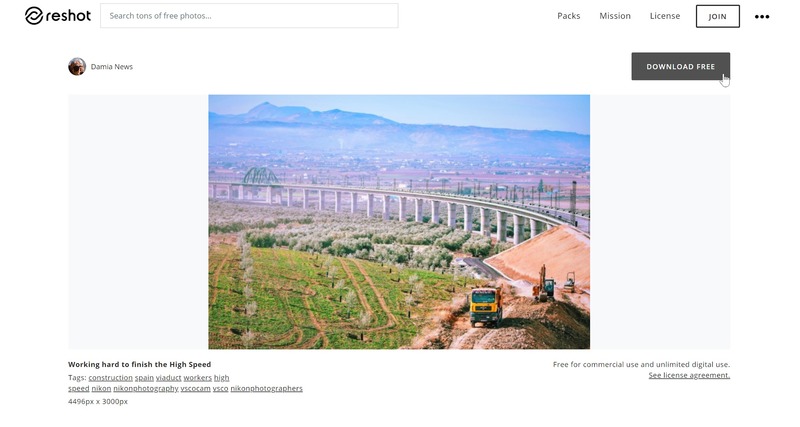 Pexels is pretty much just like Pixabay, except Pexels has no search filter, which is kind of a bummer. It does let you have the pictures with zero commitment, though. 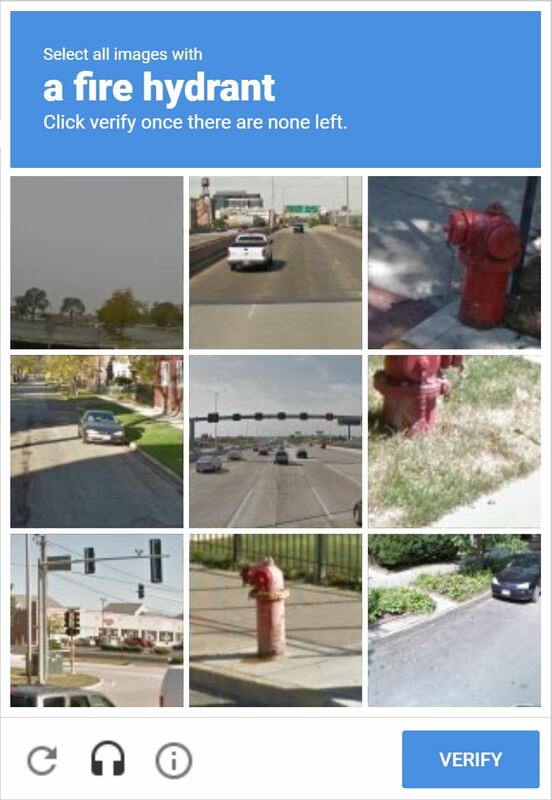 No signup required, no form to fill out…not even a reCaptcha pop up to prove you’re human… I’ll take it. …which is fine and all and dandy, except I can never fully get through it! Like…am I taking crazy pills?! It just keeps giving me more pictures to click like the programming is busted or something! Yuck. Not a fan. What FUN concepts! And soooo pretty! 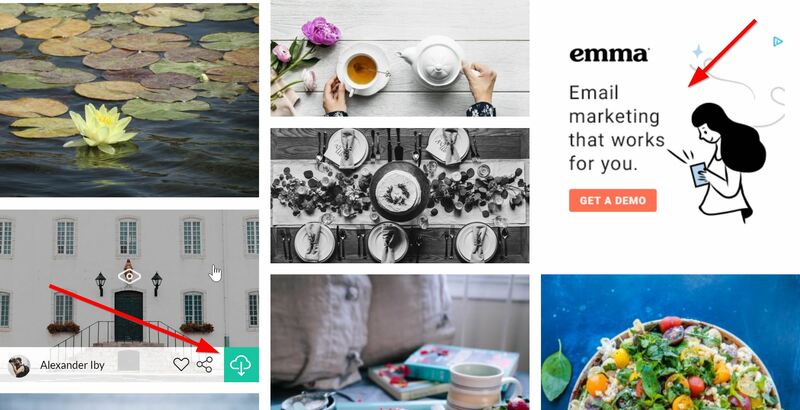 Here you’ll find instant downloads and great images without the hassle of signing up for an account or proving you’re not a robot, so feel free to add it to your go-to list. My only beef with the search results is they’re presented UNDER the suggestions for what’s available to purchase from Shutterstock. 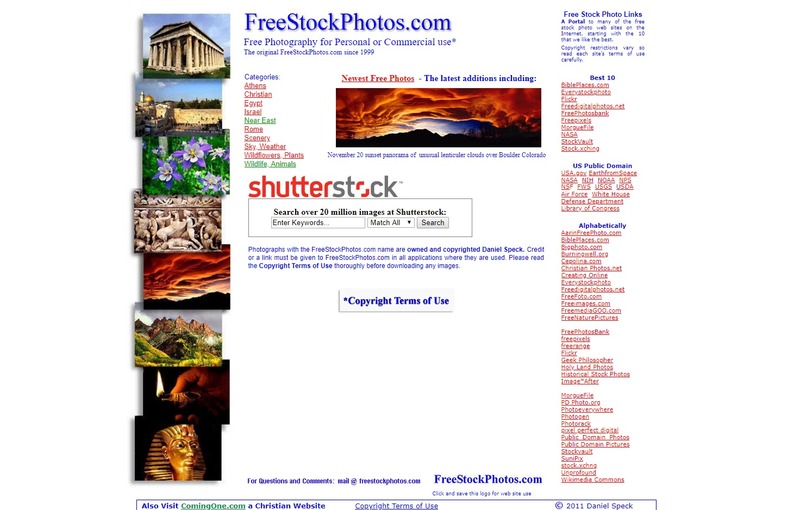 Just confusing, ‘cause for a while I sat wondering if this site only resold Shutterstock images… Then I just kept scrolling and found the free pictures. Otherwise, every image on this site is free for personal and commercial use outlined within the terms of the Creative Commons CC0 license, so download away! Hey. Sometimes you just need a puppy pic. 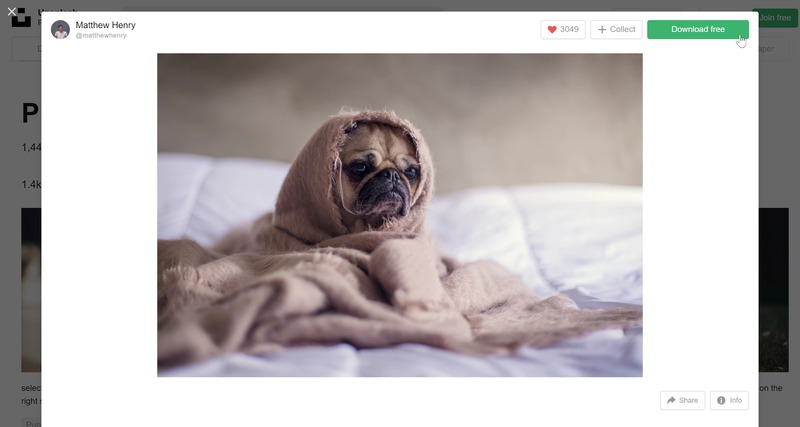 Unsplash just gets in there and gets it done. 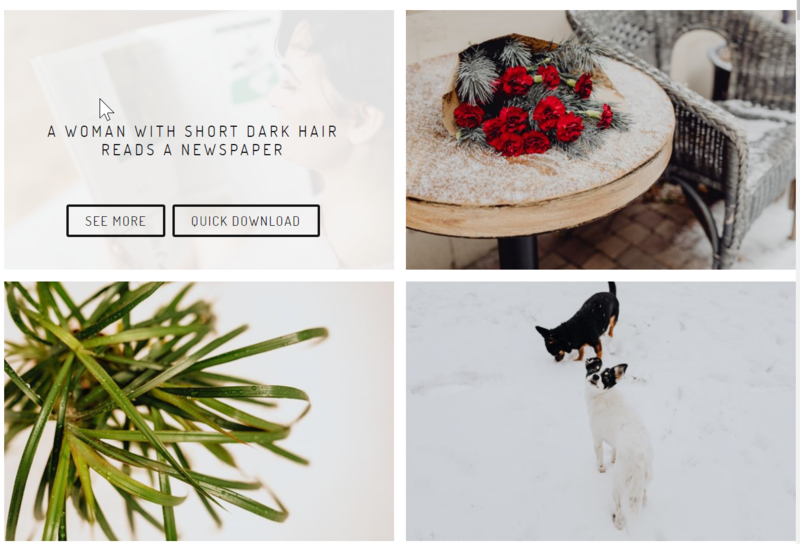 With a pretty basic design, two search bars on the home page and a carousel of categories above the header section (plus everything outlined above), you have immediate access to any of their free photos in just two clicks. TWO. When you’re dedicated to a mission, you go the extra mile and ideally find the effort is worth your while. 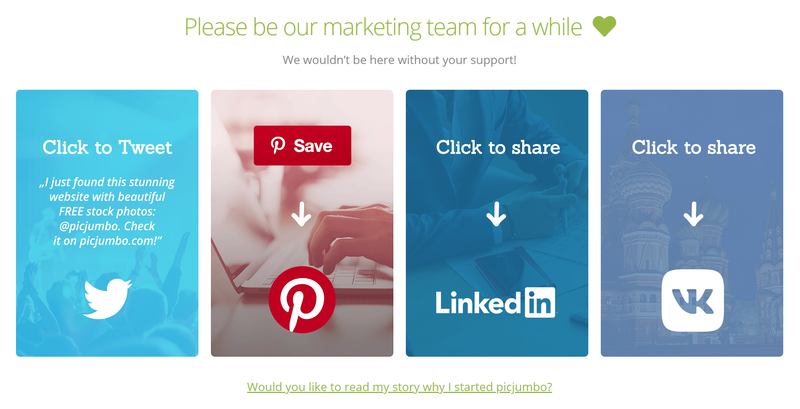 Such is the case with free stock photo sites. 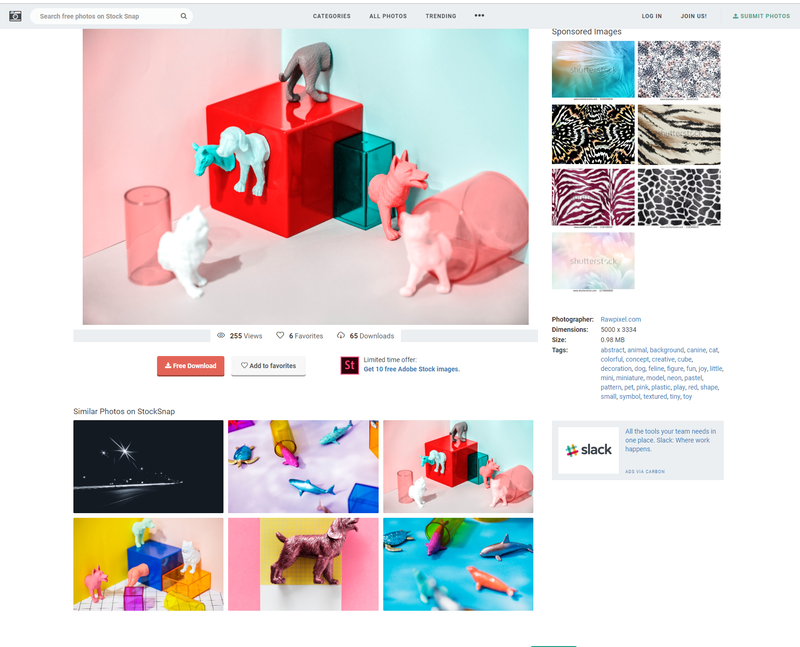 Like the sites we’ve already examined, you’ll find related images as well as suggested images for purchase from Adobe Stock (which is great when you’re an Adobe license holder). You can also look through images by photographer, one of whom is featured as a “Photographer of the Week” as a way to spread awareness about their contributors. Love to see you giving back to the art community, guys! BUT, it is not super clear on the site that these photos are free for commercial use. You have to do some investigating on the About page and read the teeny tiny itty bitty fine print. 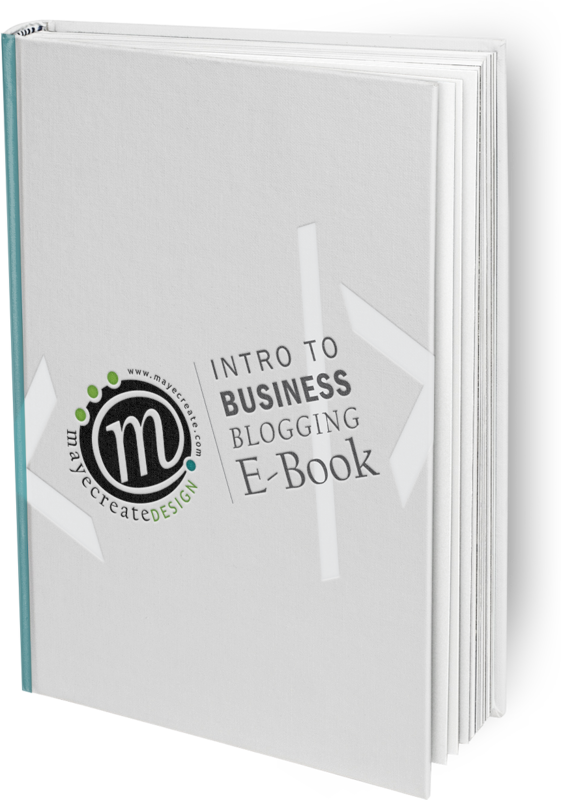 It IS free for personal and commercial use, though, so go crazy! 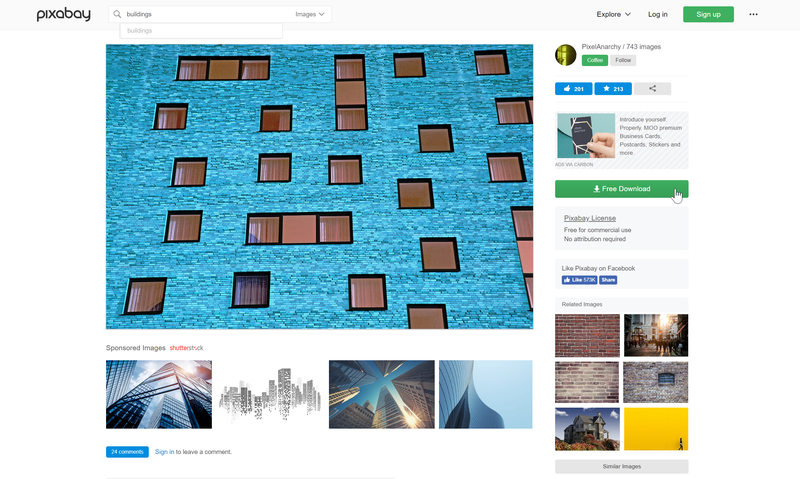 Aside from how gorgeous the main page is and the presence of your standard free stock photo site features, this platform offers the option to download ALL of the pictures, albeit at a price, but it’s essentially just a donation to the sole photographer and site contributor, AND it’s at a price you suggest! That’s 2,000+ pictures in one download for whatever amount you want to give! Note, however, 2,000+ isn’t a ton of images. I couldn’t find any images related to nonprofits, donating, or volunteering. Weird. So, nonprofits, keep on keepin’ on…. As for construction, good luck — you’ve only got a handful to choose from. With a tagline like “Handpicked, non-stocky images. Yours to use as you wish,” how can romantics resist? While there’s not a ton of variety of images on this site, I include it because it’s a humble attempt at bridging gaps in the art community and making a home for creativity on the web. 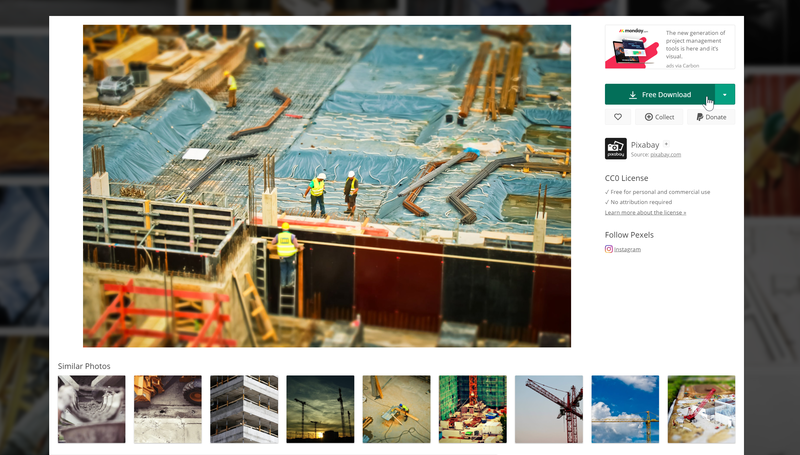 The images on the site are very Instagram-y, for lack of a better real or non-word….artsy fartsy? Yeah, not much better. Possibly worse, in fact… Alright, let me give this a fair shot: raw. The images on this site are raw. They’re interesting, quirky, and different. 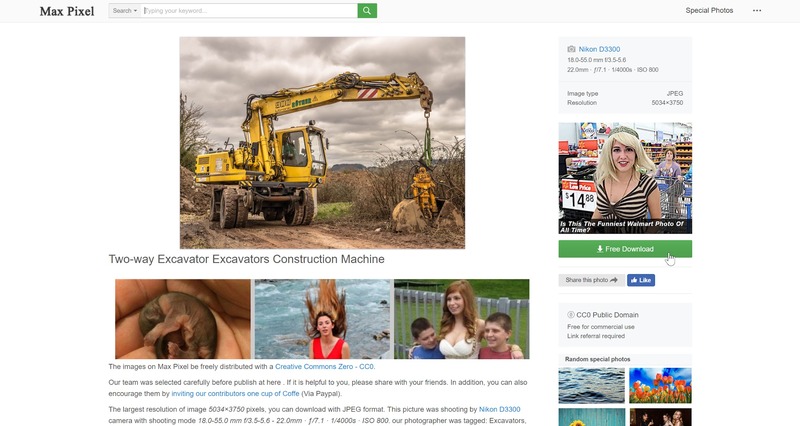 I encourage you to go exploring next time you need an image for your online marketing. There’s no Favorite or Like option, though, so bookmark images you like if you simply must have them to reference again. Another platform that offers the quick download. Love it — love not having to be bombarded with ads and other photo suggestions that make downloading more complicated than it should be. 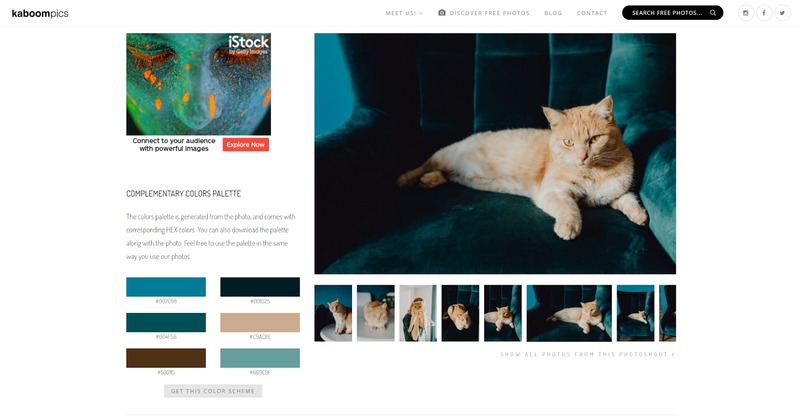 Related images available for purchase link out to iStock, which is nice, because at MayeCreate, we use iStock for our paid imagery, so that’s kind of awesome for me. Please take note of the cat cobra and cat cobra baby (?) 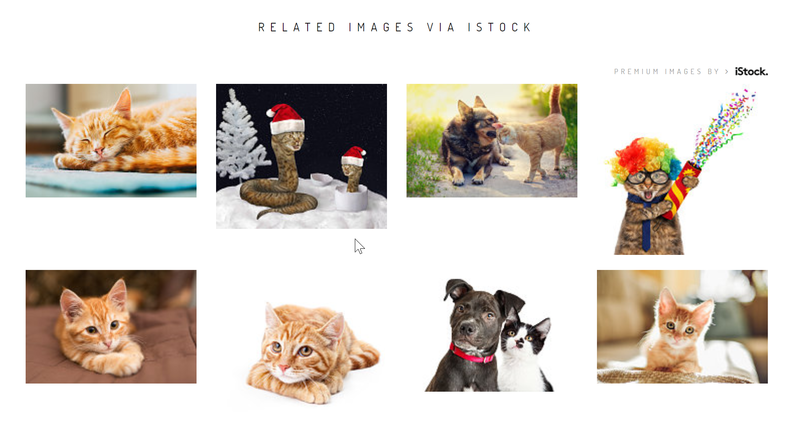 featured in the selection of recommended iStock photos available for purchase. Whaaaat? There’s a reason why this site is last on the list. I figured it would be a good way to avoid sending too many people over there. With such an influx in traffic, they may start charging people for pictures. We wouldn’t want that. 😉 So, whoever made it this far, it’s just us now. You’re welcome. And finally (as if I haven’t gushed enough), it’s just an overall beautiful site with a sleek modern design that makes me feel so fresh and so clean, clean. DESIGNER BONUS: (Ha! You thought I was done…) Next to each image is a corresponding downloadable color palette of six colors. As someone who designs at work and interior-design’s (yes, that’s a made-up verb) at home, this is a gamechanger! It tickles the the most fanciest of my fancies when I unexpectedly receive instant, versatile artsy tools. Seriously, my creative spirit is doing backflips right now. Kaboompics: 1. Everyone else (so far): 0. First of all, cats. Secondly, COLORS! P.S. Tasteful ad placement never hurts. Always make sure what you’re downloading is labeled for free personal and/or commercial use. If it’s not, check other areas of the website for copyright and use information. Any image covered under the terms of the Creative Commons CC0 license is up for grabs. Try to give credit where credit is due whenever you can. It’s karma, people, no harm in giving credit, especially if you’re using the image in a social media post or something that’s not at the forefront of your online presence. Catch my drift? Make it a point to give back every once in a while. These people are gifting their talents, so it would be nice to acknowledge that with a small gift or donation when you can swing it.